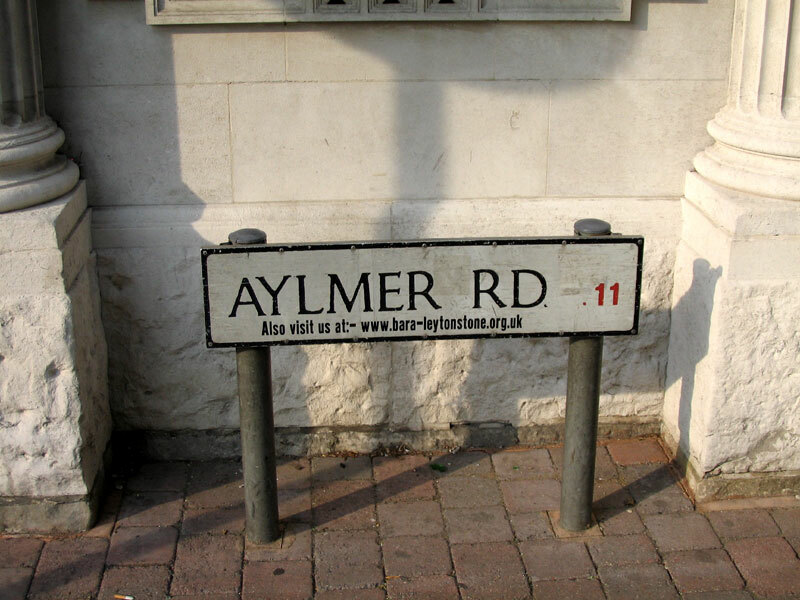 Here are two Aylmer Roads in London two more in Canada, a rue and an avenue – the latter two courtesy of David, an Australian Aylmer who has sought out a number of Candian Aylmer places. 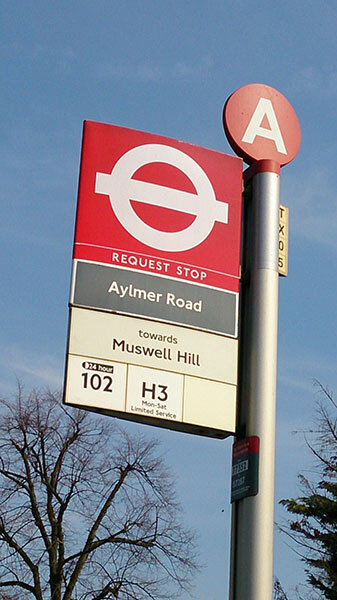 Leytonstone is in Waltham Forest, the next borough along from my home borough of Newham and bordering the western side of Wanstead Flats, so for me it’s logical to start here. 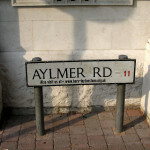 This Aylmer Road joins on to the main road through Leytonstone, its High Road, which is now partly pedestrianised to make shopping that little bit safer. 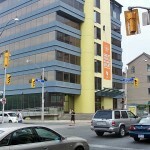 It is in the Bushwood area, which has an active resident’s association. 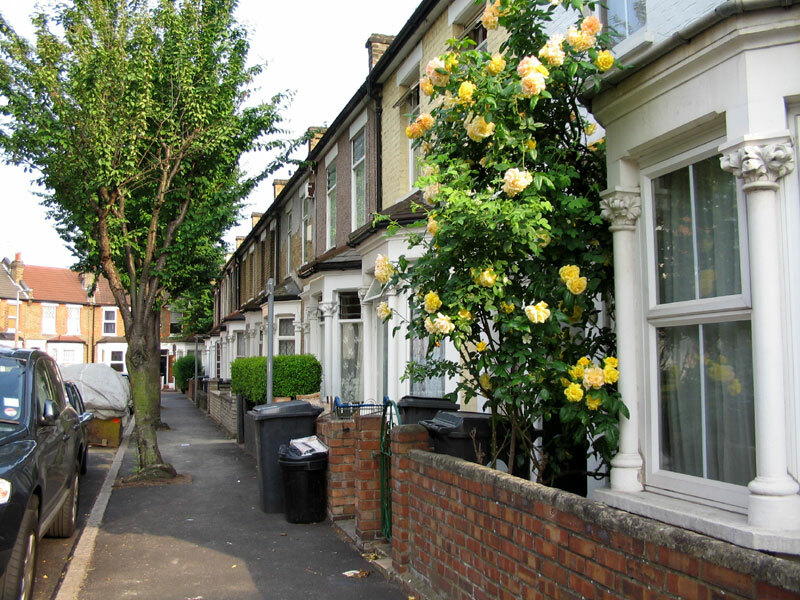 The road is just a couple of hundred yards long and has one row of typical London terraces, first two pictures right. 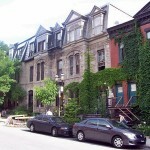 The mission hall opposite is dated from 1885 which will probably date the terraces accurately. 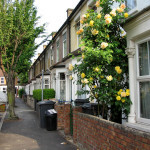 Accessed from Aylmer Road, but having Leytonstone High Road as their postal address, is a much grander row of three terraces, Grade II listed, dating from a century earlier. 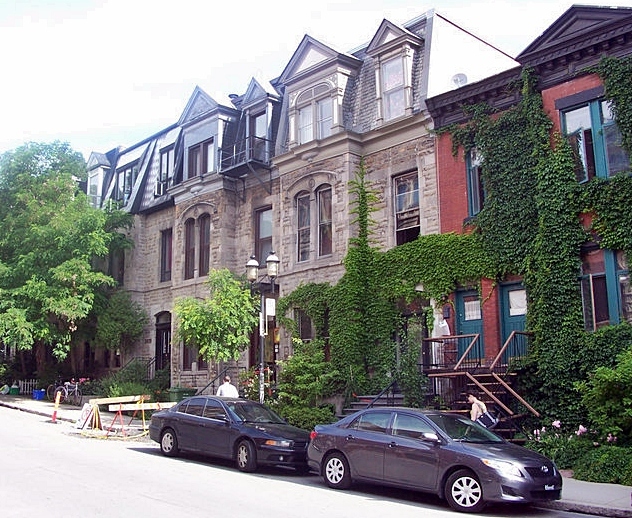 Their once extensive grounds have had the indignity of a row of shops dumped on them. Though it’s just half-a-mile long, it’s an important part of the London road network, as it forms part of the main road north out of the capital, the A1. 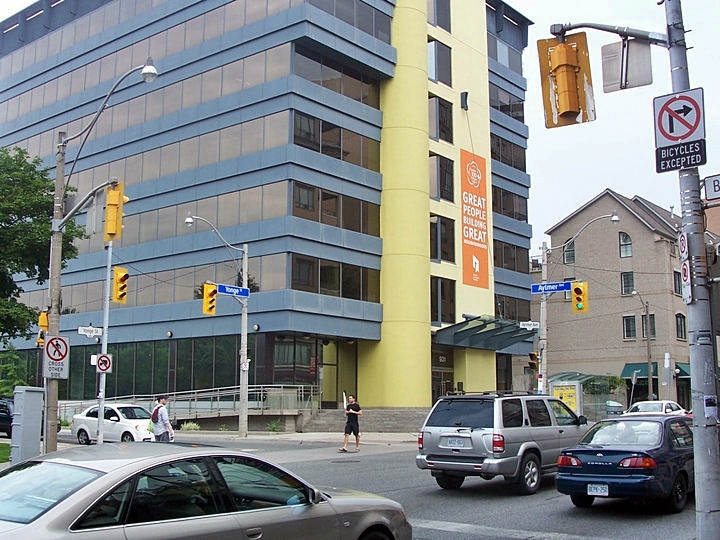 Comfortable surburban housing lines each side of the four-lane road – no doubt residents have learned to cope with traffic noise, though this is mitigated by the well-kept wide grass verges. 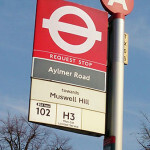 The ‘Aylmer Road’ bus stop pictured is actually round the corner on The Bishops Avenue – no buses use Aylmer Road itself. 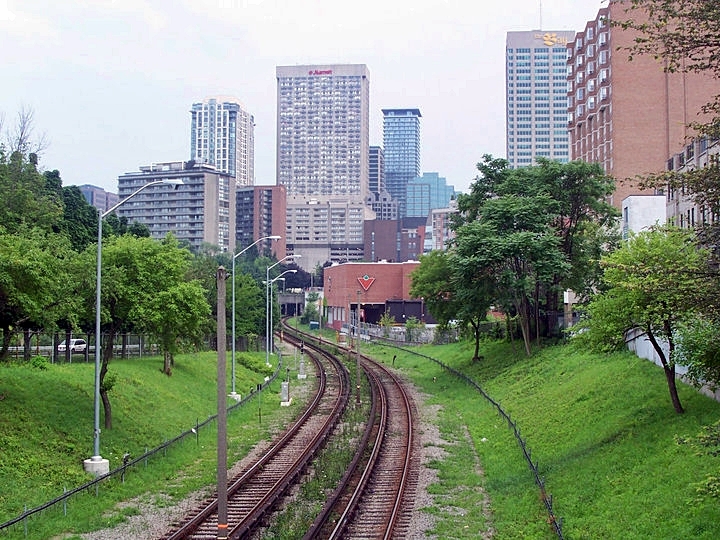 Rue Aylmer runs for about 600 yards through downtown Montreal from The Bay shopping centre to the Stade Percival Molson, the 25,000-seater home of McGill University’s American football team. 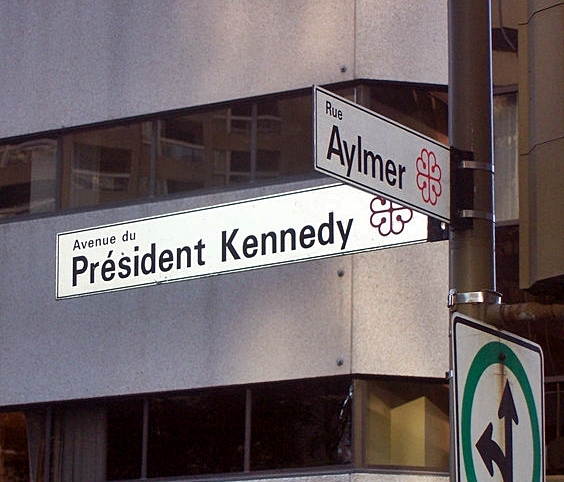 Much of McGill, Canada’s most prestigious university, is based in the streets around Rue Aylmer. 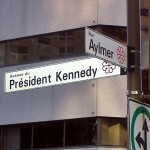 Around 200 yards long, Aylmer Avenue links Yonge Street (allegedly, the longest street in the world) to the Rosedale Valley Road. 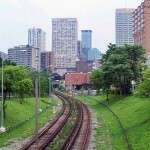 It runs mostly through parkland and is about half-a-mile from the centre of Toronto.